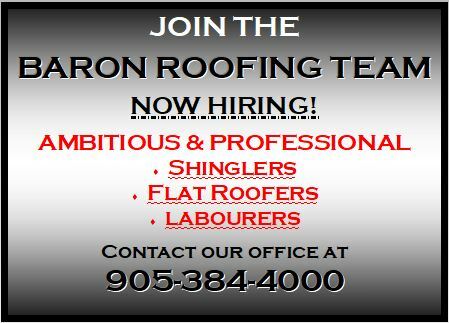 Before you make any calls, ask relatives, friends, and co-workers if they have recently hired a roofing company. There’s often someone in your circle who has! After you’ve asked around, narrow down your options to 2 or 3 contractors. We also recommend calling the Better Business Bureau (519-579-3080, or toll free at 1-888-295-3609) to ask about each contractor’s reputation. If you’d prefer to search online, they also have a website: http://bbb.org. When you call a company to request an estimate, consider how your inquiry was handled. A contractor’s quality of service is important, even from the first phone call. Did the contractor show you an updated WSIB (Workplace Safety and Insurance Board) clearance certificate, and a certificate of Commercial General Liability Insurance? Did the contractor thoroughly inspect and accurately measure your roof? Did the contractor answer all your questions in a satisfactory manner? Did you have a clear understanding of how the project will commence? Were you left with a detailed written estimate? Did the estimate clearly indicate what roofing materials will be used, including all of the accessories? Trust your instincts. When it comes to renovation projects, it’s wise not to base your decision on price alone. Is your contractor fully insured? Are they willing to give you copies of their certification and provide phone numbers as proof? 5 million dollars against damage to you or your neighbor’s property? Does your contractor use 100% of their own employees? No subcontractors or sub-trades? Is your contractor in good standing with the Better Business Bureau? answer questions that you may have?